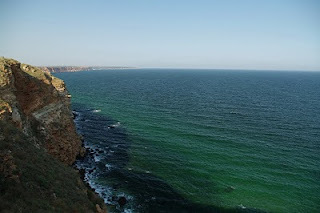 Cape Kaliakra (Nos Kaliakra) lies on Bulgaria's Black Sea coast about 75km north of Varna. It is a 2km long headland with scrub, steppe and rugged cliffs. Breeding birds include a range of shrikes, larks and wheatears, Alpine Swifts on the cliffs and European Shags on the rocks below. From August to October (with early September usually best) good passage of pelicans, storks, raptors and songbirds occurs here, too. Destinations: Corkscrew Swamp - Florida, USA.